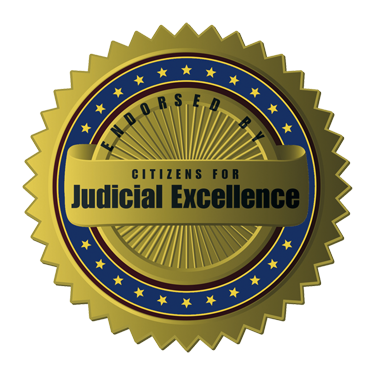 Citizens for Judicial Excellence is a registered political action committee dedicated to improving the quality of the judiciary in the lower trial courts. CJE was founded in 2006 by a group of lawyers concerned with the deterioration in the overall quality of justice in “the people’s courts” — the district and municipal court systems of Washington State. Prior to creation of CJE, incumbent judges rarely faced a challenger, enjoying a de facto lifetime appointment to the bench. This lack of accountability led to a deterioration in the quality of the judiciary on the whole, isolated judges from the real world experiences of the citizens who appeared before them, and denied voters the opportunity to replace clearly poor-performing judges with more qualified candidates. CJE was founded for one purpose: to improve the quality of the judges in the busiest of our court systems by offering voters actual choices in judicial elections. 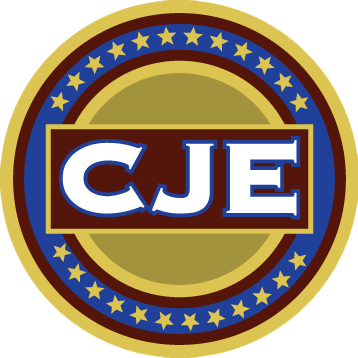 CJE fulfills its mission by recruiting, encouraging, educating, supporting, and financing a select number of highly qualified candidates whose election—by objective standards—would truly improve the quality of the bench. Since its inception, CJE has grown into the most effective and influential political force in the legal community. In fact, CJE is recognized as the most highly organized, sophisticated, well-funded, and professional judicial-election PACs in the country. Why is there a need for CJE? Unquestionably, CJE’s dedication to improving a stagnant judiciary is long overdue. Trial court judges in Washington State are elected to four-year terms. The theory behind the decision to elect judges is to insure their accountability to the voters by requiring them to run for re-election on their merits. When elected officials face the prospect of a challenger, it obviously increases their commitment to excellence, integrity, and competence. However, when elected officials are rarely challenged, they need not be concerned with the quality of their performance. When that happens, the interests of justice and of the public suffers, and that has been the reality of the lower courts across the state for over thirty years. For instance, in King County in the 20 years preceding CJE’s participation in the 2010 elections, of the 24 district and 16 municipal court judges facing re-election, incumbents potentially faced 160 contested elections. In reality, less than a dozen incumbent judges were challenged over those two decades. While there are many excellent judges in the lower courts, there are also a number who do not possess the qualities needed for this critical position. Lifetime appointments are dangerous in any context, but are particularly harmful to the administration of justice when it happens in the state’s busiest courts — where common citizens are most likely to interact with a judge. Too often, it can result in judges developing biases, impatience, arrogance, and a seeming disregard for the integrity of our system of justice. Why are incumbent judges so rarely challenged? In a nutshell, because the commitment of time, effort, and money needed to organize, maintain, conduct, and fund a successful political campaign is simply enormous. The process is so demanding it discourages almost all qualified candidates from even trying. That is why CJE was founded: to identify, encourage, support, educate, and fund only highly qualified candidates who would otherwise never run for judge. How did CJE candidates do in the last election? When CJE was founded, it faced two enormous challenges: recruiting highly qualified candidates, then raising enough money to provide expertise and substantial financial support to their campaigns. In our first election in 2010, our nearly across-the-board success surprised everyone except CJE. In King County, CJE was involved directly in five campaigns and indirectly in four more — the first time in thirty years so many incumbents faced opponents. Each of our endorsed candidates was either a current or former prosecuting attorney, and each received the coveted “Exceptionally Well Qualified” rating from the King County Bar Association Judicial Evaluation Committee. Nine of the ten challengers prevailed. This was clearly a huge step forward in CJE’s goal of improving the quality of the bench and the administration of justice in the lower courts. However, much work remains to continue this progress. Learn more about our 2010 judicial endorsements. The officers and board of directors of CJE are all unpaid volunteers. The only paid staff members are the Administrative Director and Political Director. Therefore, the vast majority of member contributions are committed to the cause of finding, screening, supporting, educating, and funding the highest qualified candidates possible. CJE is constantly on the lookout for quality lawyers who might have an interest in the judiciary. The process of identifying and vetting candidates never ends and it is not uncommon for us to work with candidates for several years before the election. CJE is diligent in following all rules governing participation by political action committees in elections and all activities and contributions are duly reported to the Public Disclosure Commission. Once a potential candidate comes to the Board’s attention, he or she is contacted by a Board Member to discuss the person’s level of interest and commitment. The member then reports back to the Board for further discussion of the candidate’s credentials, experience, integrity, reputation, competence, and many other factors. If the Board decides the candidate merits further consideration, the Political Director meets with him or her and conducts an extensive in-person professional and personal interview involving dozens of written questions. That meeting is entirely confidential and the P.D. does not reveal any sensitive personal information when reporting back to the Board. If the initial interview persuades the Board the candidate has serious potential, the Board votes on whether to provide the candidate with a copy of our comprehensive manual which provides a step-by-step description of how to organize, manage, and conduct a successful judicial campaign. The manual lays out a demanding roadmap of what the candidate must do in order to mount a successful campaign. Once the manual has been given to the candidate, CJE’s Political Director provides guidance, advice, contacts, and encouragement to the candidate and campaign manager until election laws prohibit our involvement. The P.D. monitors the candidate’s progress and reports back to the Board on a regular basis and the candidate’s commitment and progress determines the level of our support in the actual campaign. Many potential candidates express an interest, but only a few succeed in climbing the ladder of CJE’s exacting standards of excellence. For example, prior to the 2010 election CJE interviewed over 70 potential candidates and ended up supporting only a handful of the most qualified. CJE now has more than 100 members contributing $100 a month to a growing campaign war chest for future judicial elections. The vast majority of contributions go directly to the cause: identifying, vetting, educating, and encouraging qualified candidates, then funding campaigns. CJE’s president, officers, and board members are all unpaid volunteers. While CJE is widely recognized as the most well-funded, organized, sophisticated and powerful force in judicial elections in the country, there is a great deal of work yet to be done. You can join in the effort by signing up as a member of CJE today. For a monthly investment of $100, you will join dozens of your colleagues in creating a lasting impact on the quality of justice for many years to come. Click to learn more about joining CJE.